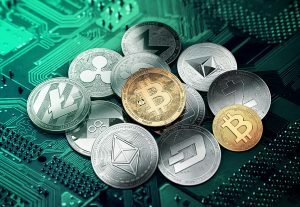 Cryptocurrency grabbed maximum limelight over past couple of years with some of the biggest cryptos such as Bitcoin and Ethereum giving stellar returns. 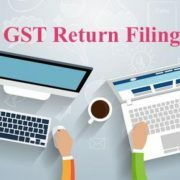 However, as the traders and new investors flocked to get the maximum return by trading in the virtual currencies, authorities across the world tightened the noose on the trading and possession of these cryptocurrency and now India is weighing the idea of levying GST. The situation in India was no different where the traders wanted to make maximum of the rise in cryptocurrency like Bitcoin. Just like any other government, India has also released multiple statement on the cryptocurrencies suggesting that there is no backing from the RBI or the government to these virtual currencies and that the traders should deal in them on their own risk. Now the country is looking to bring the cryptocurrency under the purview of Goods and Services Tax according to some reports. The tax rate could apparently be 18% on digital currency trades. As of not, it is just the proposal that is being considered by the Central Board of Indirect Taxes and Custom and once the decision has been arrived. As per the proposal, both purchase and sale of the cryptocurrency would come under the taxes because the virtual currencies are here considered as a supply of goods. For the calculation purpose to levy GST, the value of the cryptocurrency transaction would rely on the value in rupees or the equivalent in freely convertible foreign currency. If any transaction has happened outside India, it would come under the preview of (IGST) and would be considered an import or export of goods. If the transaction in the cryptocurrency is made for other reasons such as “supply transfer, storage and accounting” would come under services like crypto mining. Cryptocurrency exchanges need to pay GST on the commission under proposal whereas the foreign exchanges should come under IGST. There are possibilities that the government would look to levy the GST on crypto such as Bitcoin trading retrospectively from July 1 2017. With bringing the virtual currency under GST the government is keen to make the taxation process simpler. Under the new proposal, it would be mandatory for the cryptocurrency exchanges to register under GST and pay tax on the commission earned by them. If the exchanges are located outside India, services offered to the Indians would come under the import of a service and will be liable to pay IGST. Now is the right time for the government to take a clear stand on the Virtual Currencies so that the traders who already possess these currencies along with the new traders who want to take up the virtual currency trading are aware of the exact norms that they need to follow. 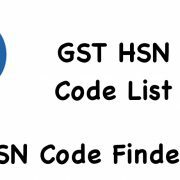 Reverse Charge in GST - When To Pay?